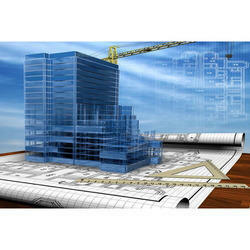 Backed by the skilled professionals, we are involved in providing CAD Building Drawing Service. We take care Control Building Design which are applicable in the diverse field. The well skilled engineer and technicians design the patterns and machines to enable the optimization of human activities. These Engineering Services are easy to operate and install.We provide these Control Building Design Services at very reasonable cost. High rise buildings, residential buildings, commercial buildings design, construction, . Being a quality oriented organization, we are involved in rendering Building Planning Service. This Building Planning Service includes architectural specifications, planning tools, planning literature and other special drawings. Our service range is provided by our talented team of skilled professionals. Type Of Service Provider: civil engineering. Type of Technology: civil engineering. Airovient Fan And System Pvt. Ltd.
L T's strength lies in its in-house design which is backed by a multi-disciplinary team of specialized engineers expats and sophisticated software hardware facilities that provide value added integrated engineering services with detailed design and engineering support as part of comprehensive EPC services. In this our offers are Ceiling design and execution, Wardrobe design and execution etc.